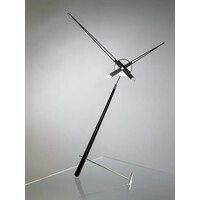 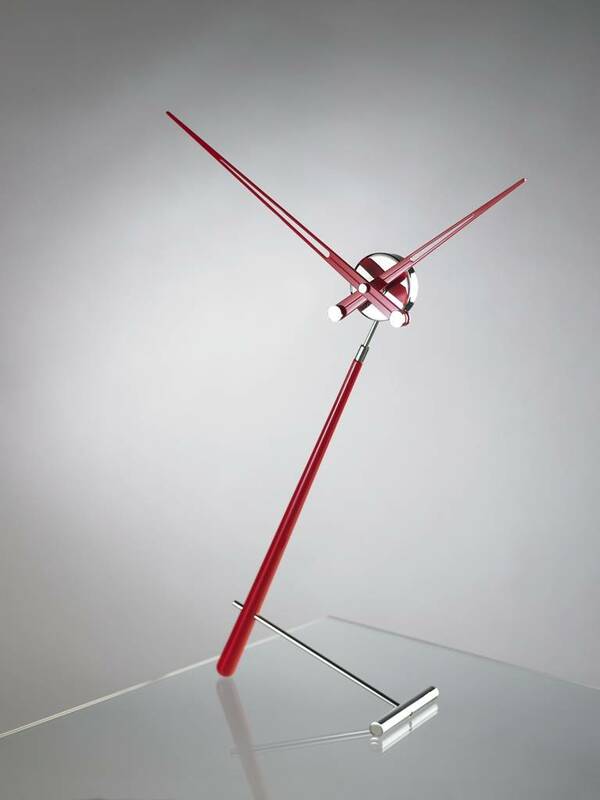 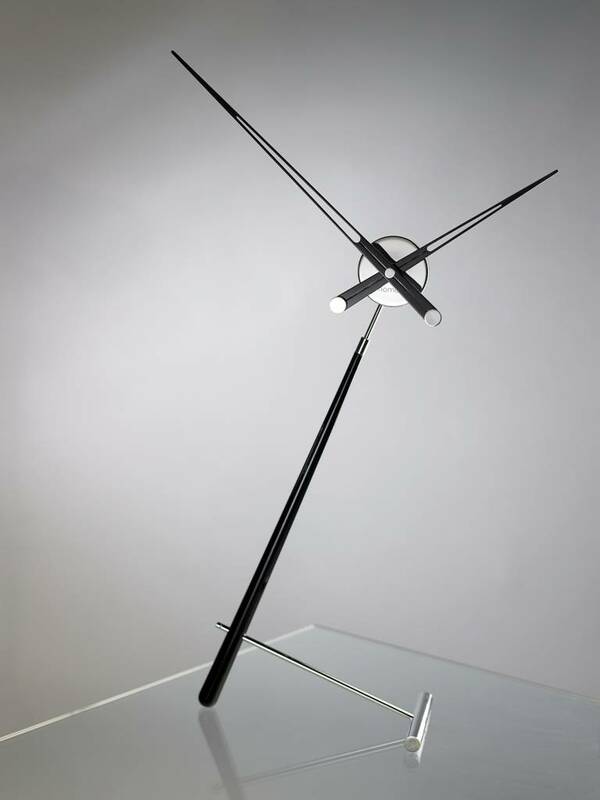 Table Clock Puntero, by designer José María Reina, has a unique, slender form, made from fine materials. 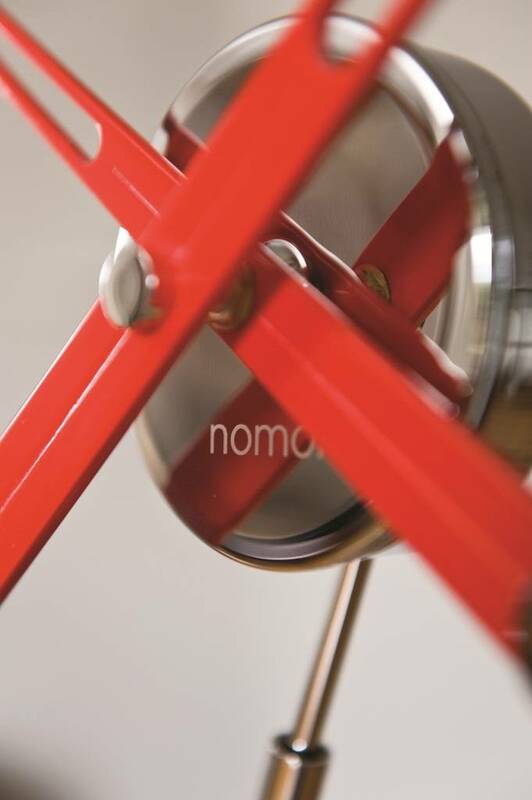 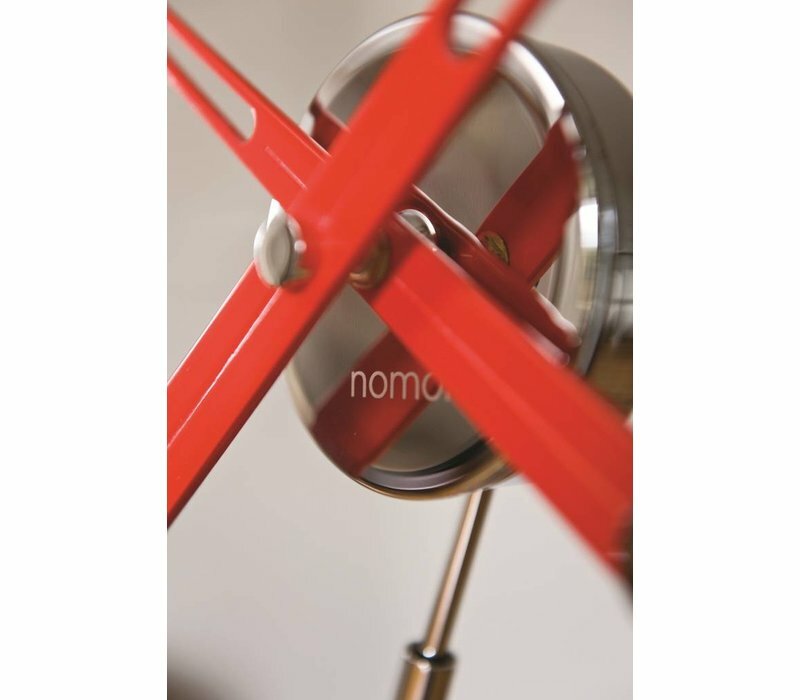 Table Clock with a great personality: Nomon’s Puntero table clock. 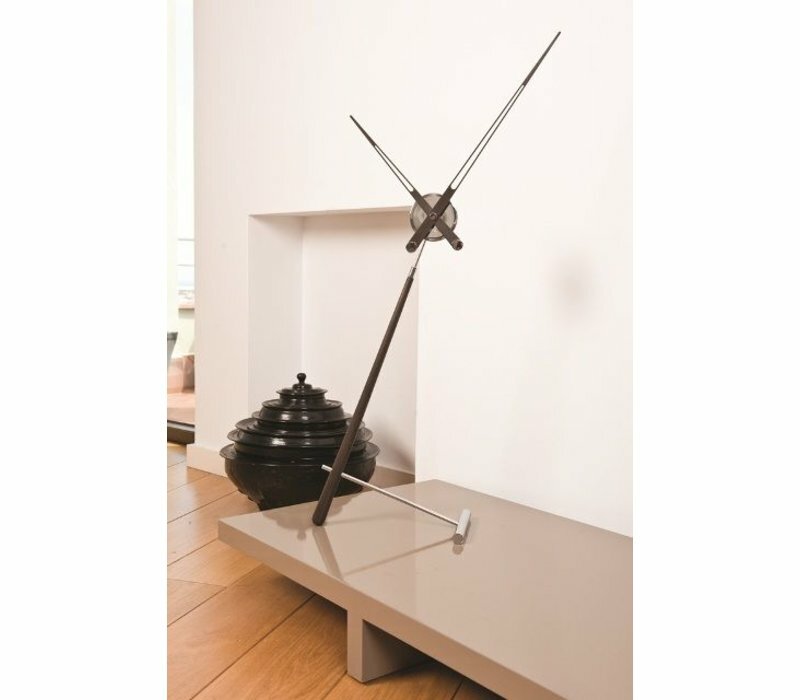 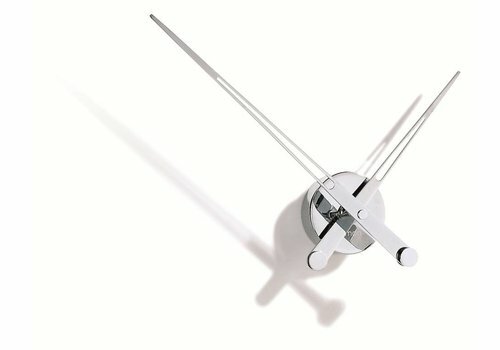 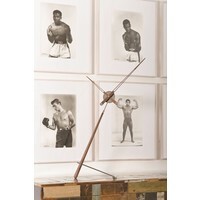 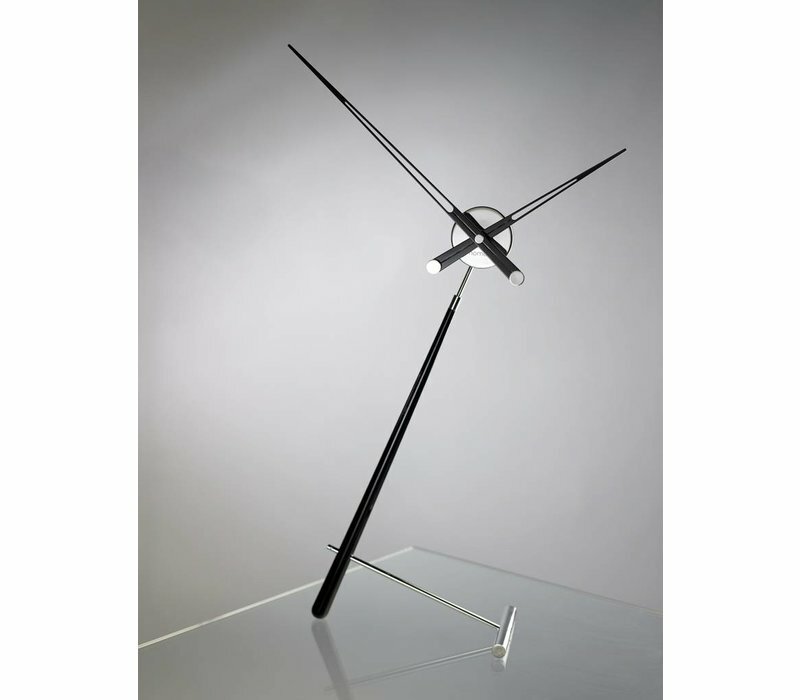 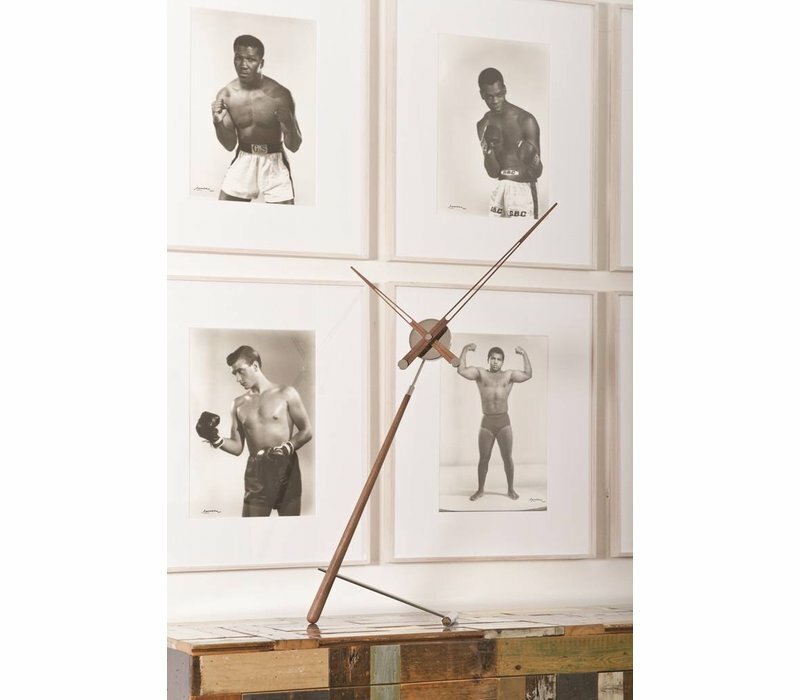 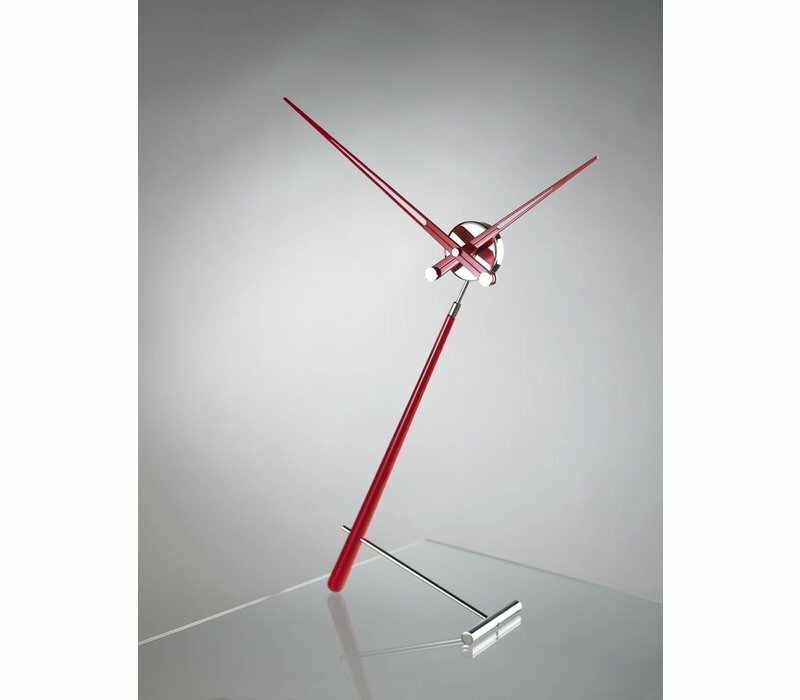 The unique architectural lines of this table clock make it an eye-catching, conversational piece when placed on a table or mantel in the livingroom. 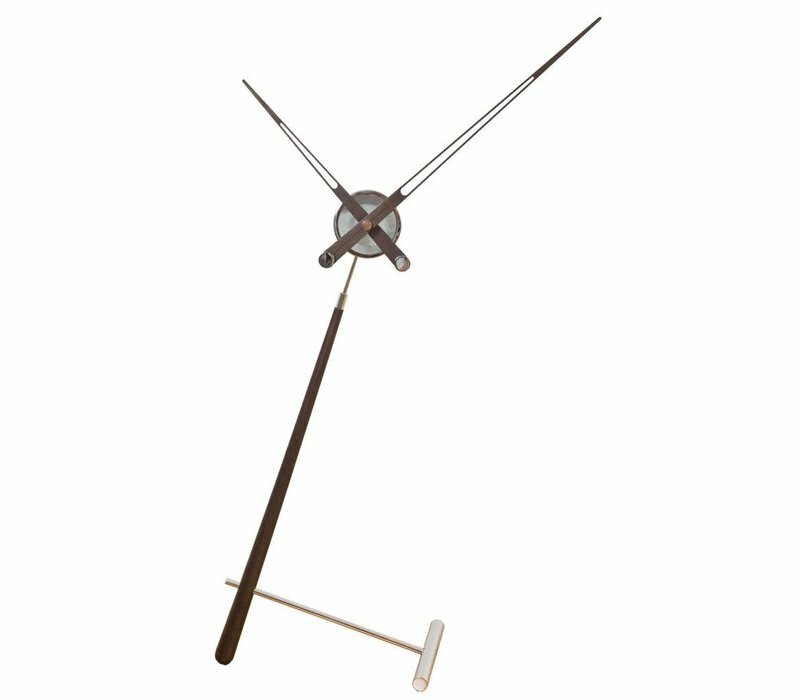 The clockwork mechanism is a quartz UTS. 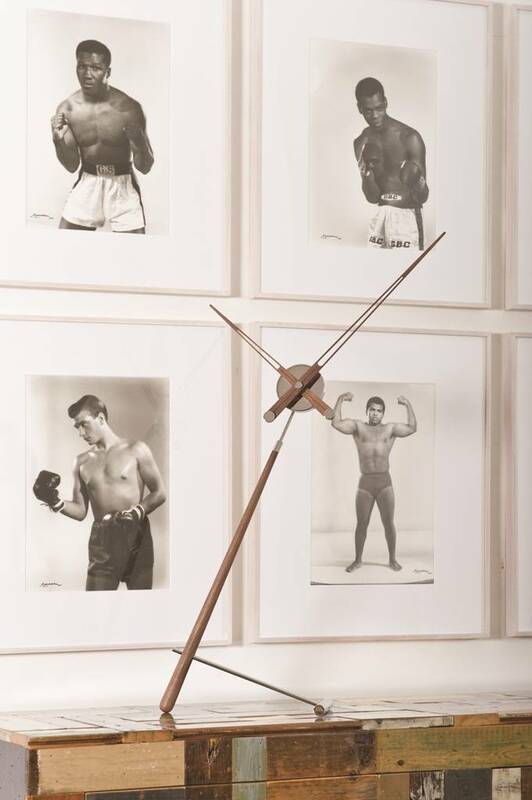 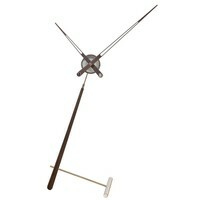 The Puntero table clock has a diameter of 73 cm, with 92 cm height. 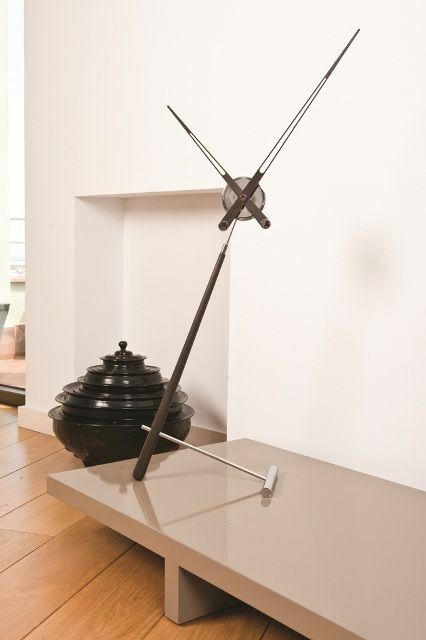 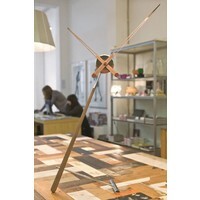 Its stand and housing are made of chromed steel; the pointers are supplied in walnut or wenge wood. 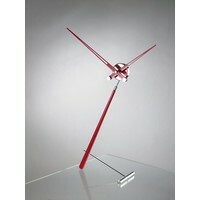 In addition to the natural wood models, you can also order the Puntero with lacquered clock-hands in red, black or white. 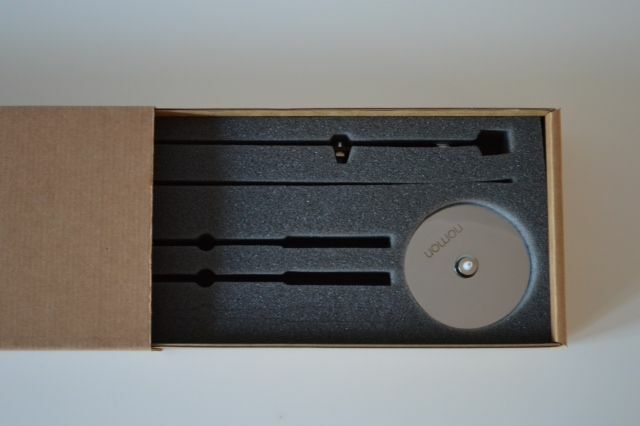 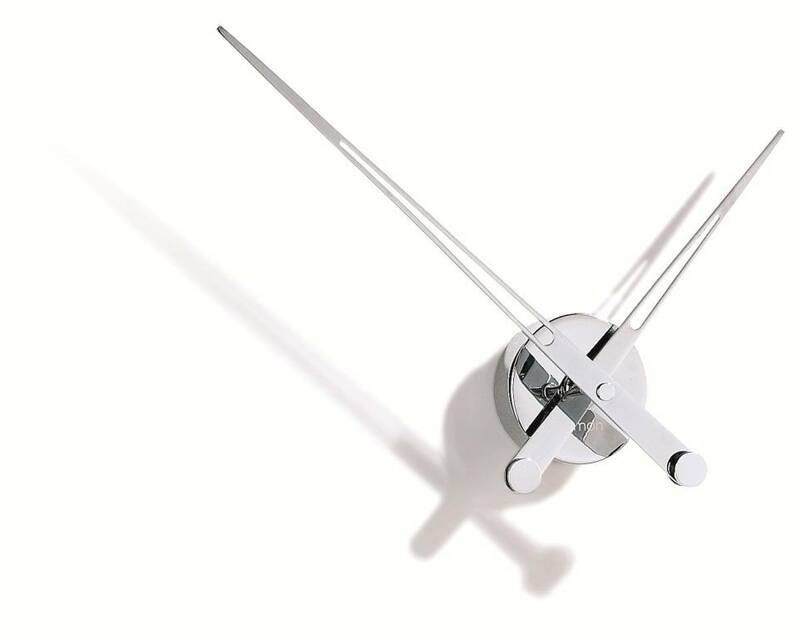 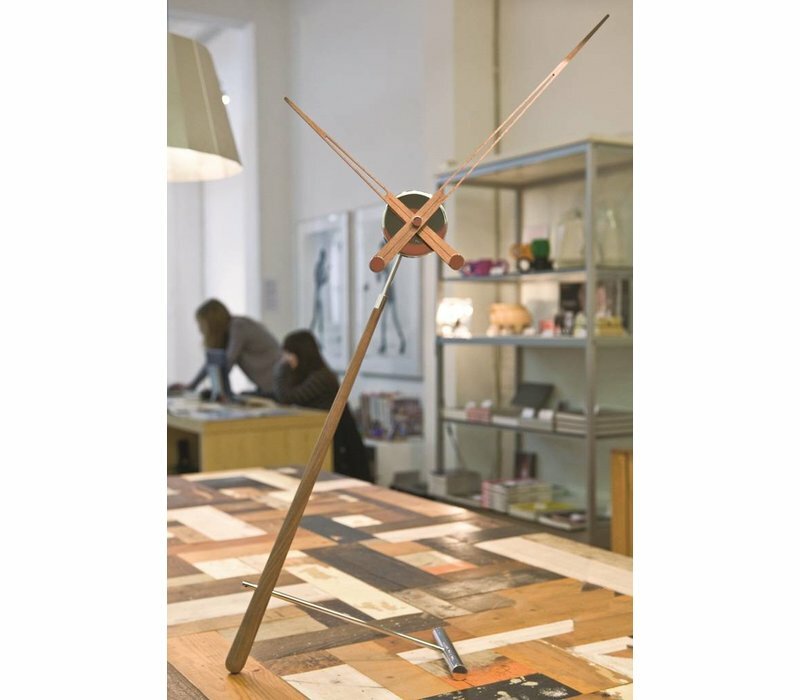 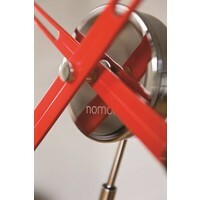 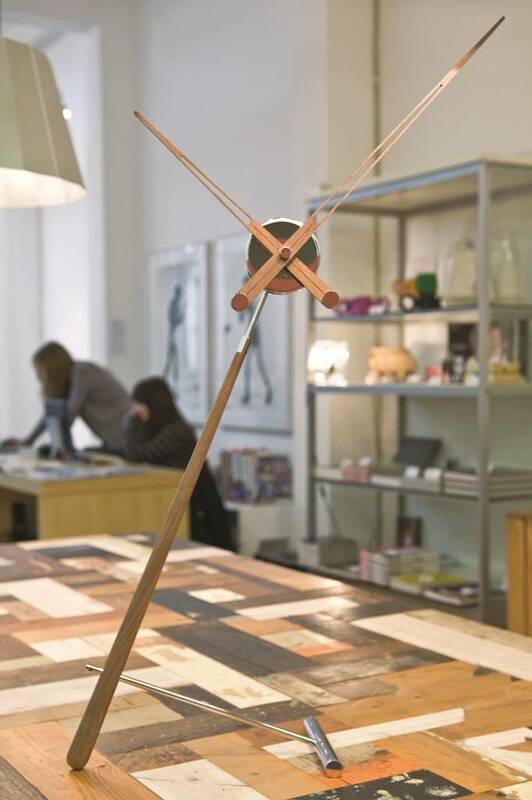 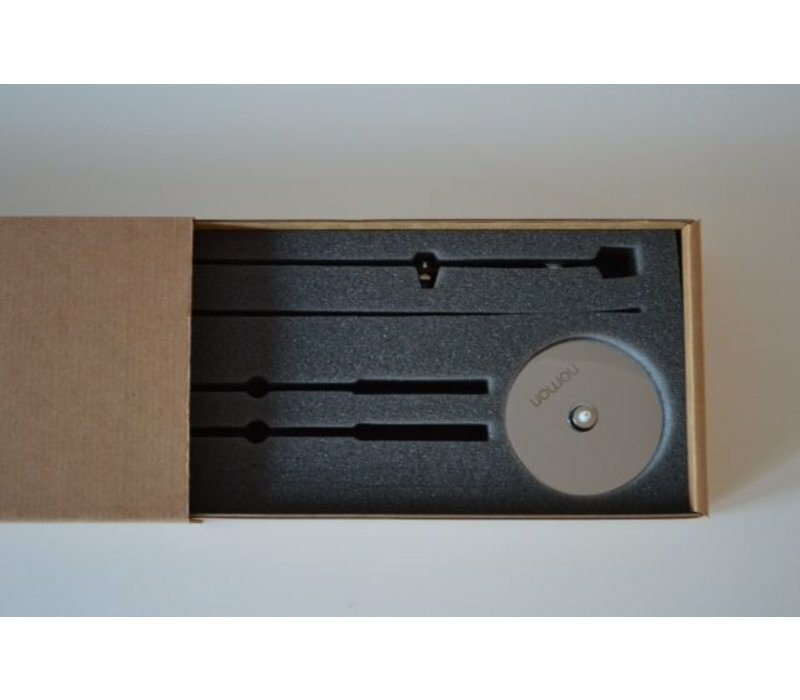 Nomon is a world-leader of design clocks, which are made by hand in Nomon workshop in Barcelona.